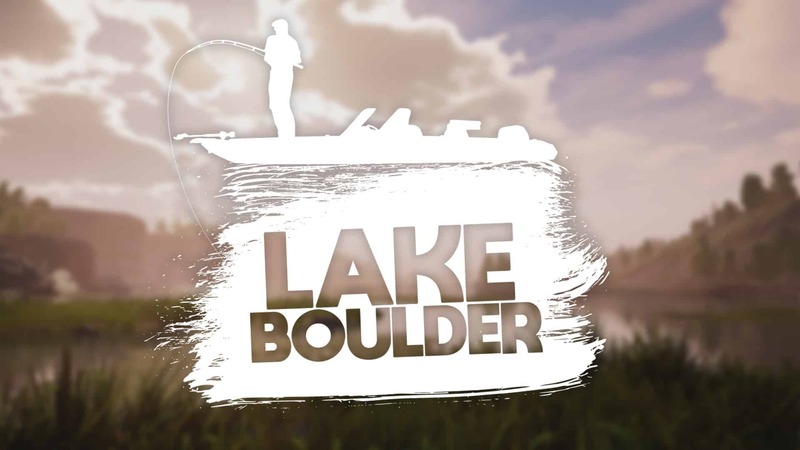 This week’s theme for Fishing Sim World is all about one of our US venues – Lake Boulder and the boats you’ll need to be able to explore this huge venue. Lake Boulder is a fictional venue based in upstate New York and is over 2000 acres in size! 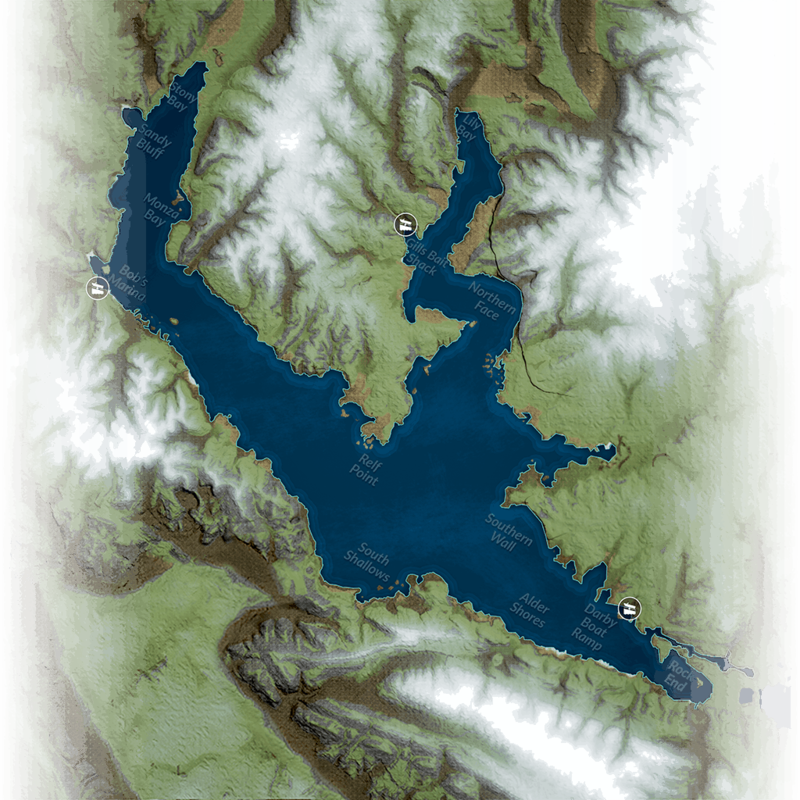 Using Lake Champlain as inspiration, Lake Boulder is naturally formed from a moving glacier and features a variety of habitats for both largemouth and smallmouth bass. With giant rock faces, steep drop offs, deep trenches and lots of reed and lily patches there are plenty of different spots around the lake to target and you will need all the different lures in your tackle box for success! In Lake Boulder, as well as targeting the largemouth and smallmouth bass, you can also expect to find black crappie, yellow perch, chain pickerel and norther pike. 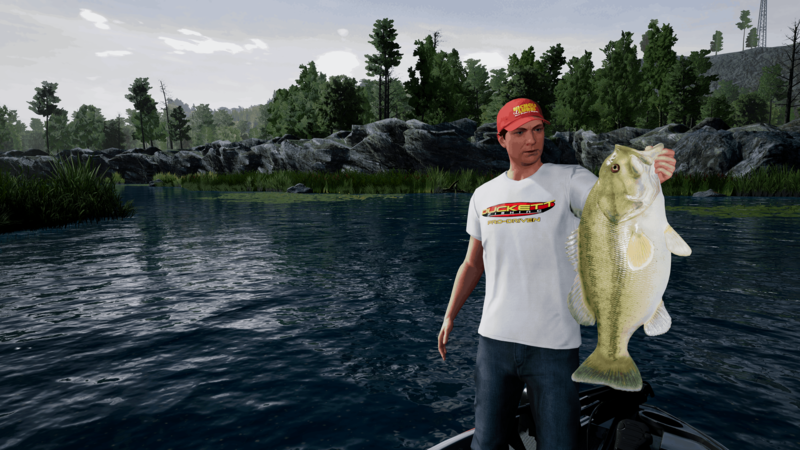 There are some serious fish to be caught across all species as well with highlights including largemouth to over 11lbs and smallmouth to over 7lbs as well as northern pike in excess of 30lbs! Due to the sheer size of the venue, there are three different areas around the lake for you to start from and these are boat ramps. A venue this big needs a boat to be able to get around it and we’re delighted to say that not only does Fishing Sim World feature boats but we feature boats from Bass Cat Boats, one of the leading manufacturers in the industry. You will start off with the Haichou Odyssey which isn’t the most luxurious or fastest boat on the market but will be perfect for you as an introduction to fishing from a boat. Once you have become more experienced and earnt enough tackle points in game, it will be time to purchase your Bass Cat! We are launching with two options – the mid-range but packed full of features Pantera Classic or the top end Lynx that comes complete with a 250 HP engine that will allow you to get across the lake quickly and in style!